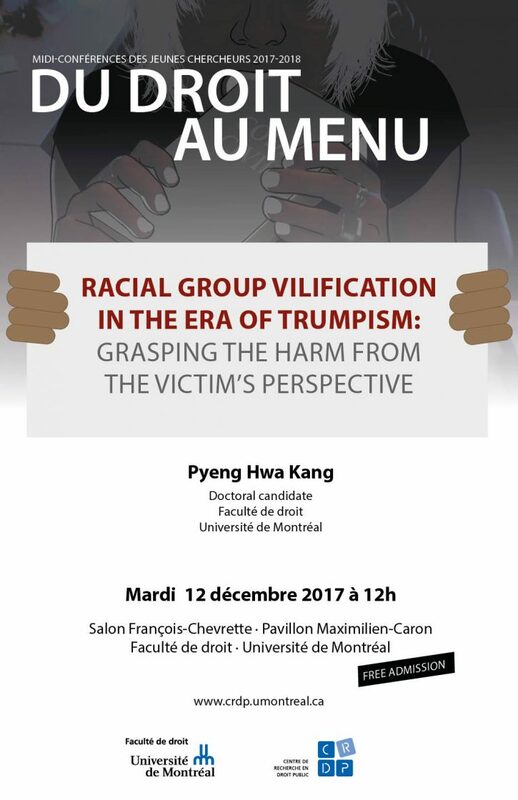 Pyeng Hwa Kang is currently a ph.D. candidate in the Law Faculty of Université de Montréal under the supervision of Professor Jean-François Gaudreault-DesBiens and Professor Noura Karazivan. He obtained his LL.B. from the Law Faculty of Université Paris V Descartes and holds an LL.M. specializing in Common Law and Comparative Law from the same university. His main areas of interest involve theories of law, comparative constitutional law (U.S. and Canada), and in particular freedom of expression and religion in postmodern pluralistic societies. 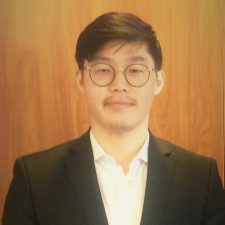 His doctoral thesis is a critical inquiry into the reductionist concept of harm in group defamatory expression, predominant in the First Amendment jurisprudence’s struggle arising from the parochial constitutional interpretation and individualistic conception of free speech. 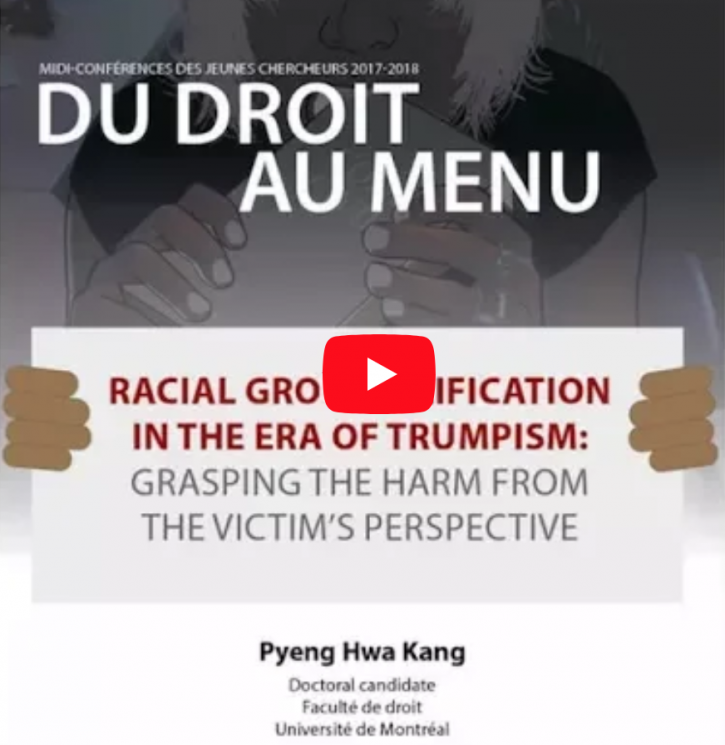 In doing so, the thesis focuses on the notion of harm in group defamatory utterances of fundamentally discriminatory and vilifying nature from a communitarian view, redefining it as a form of harm to identity. Ce contenu a été mis à jour le 6 novembre 2017 à 10 h 41 min.